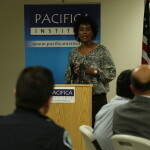 The gathering of two faiths during the whole month of Ramadan took place at Pacifica Institute in Orange County on July 26, 2013. 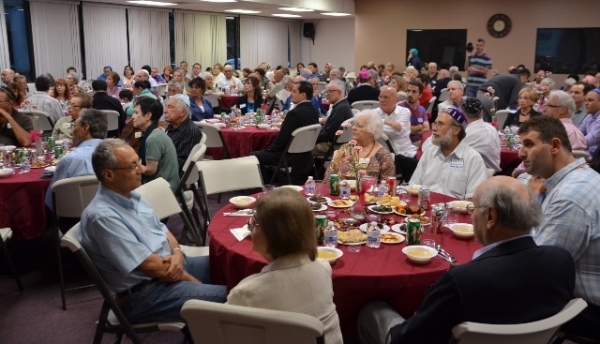 The symbolic “breaking of the bread” between the Muslim and Jewish community occurred over a Shabbat dinner service and Iftar (breaking of the fast). Tezcan Inanlar, CEO of Pacifica Institute, welcomed the guests and thanked for their contribution to interfaith dialogue with such a nice meaningful gathering. 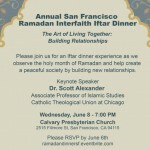 The evening started with the call to prayer was the Turkish Muslim community broke their fast. Following the call to prayer, Rabbi Arnold Rachlis discussed the significance of the Friday evening Shabbat Service. Rabbi Rachlis explained the importance of the breaking of the bread, the light on the candle and the grape juice along with the rest of the guests joining together for the prayers. This began the dinner service and breaking of the fast while the food was being delivered. Such an instrumental night, Muslims and Jews sat together discussing topics and interacting with one another to continue the growing friendship. After the meal, the Shabbat service began with Rabbi Rachlis and Cantor Ruti Braier passing out prayer books to all the guests. With the help of these prayer books along with the guidance of Rabbi Rachlis and Cantor Ruti Braier, both the Muslim community along with the Jewish community joined hands and hugged each other while singing the prayers. After the prayers, the Muslims and Jews greeted each other with both Salaams and Shaloms as a symbol of unity and friendship. For the second portion of the evening, Rabbi Rachlis and Abdurrahim Ozcan gave their speeches. Rabbi Rachlis discussed “The Five Most Important Things For Muslims To Know About Jews”. Rabbi Rachlis first brought up the issues of “changing [the] definitions of God”, and second to using the “Torah as a guide”. In addition to these topics, Rabbi Rachlis third issue was on “Israel” as the “contemporary state and the international bonds of family and peoplehood”. Rabbi Rachlis’s fourth topic was “liberal vs. traditional Judaism” and to be able to have “unity [with]in diversity”. Lastly, Rabbi Rachlis discussed the “belonging, behaving, believing, becoming” as the “continuous evolution of Jewish spirituality and personal growth”. Continuing the dialogue, Abdurrahim Ozcan discussed “The Five Most Important Things For Jews To Know About Muslims”. Mr. Ozcan start his discussion by trying to explain the “Islamic tradition” of “Tawhid [which] means unifying, regarding as one, believing in God’s Oneness or Unity”. For his second topic, Mr. Ozcan talked about “Prophethood [where] Muslims believe in and respect all the messengers of God, with no exceptions.” The third issue discussed was the “role of the Prophets” within Islam. Fourthly Mr. Ozcan talked about the “Quran [which is] the miraculous Word of God revealed piecemeal to the Prophet Muhammad during his Prophethood in 23 years, not all at once, written down and transmitted to succeeding generations by many reliable channels, and whose recitation is an act of worship and obligatory in daily prayers”. Lastly, Mr. Ozcan brought up the issue of the “Religion of Islam”. 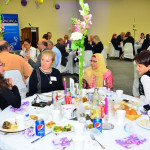 After the program was over, many of the guests stayed to continue the dialogue. Serap Akbas, from the Turkish community commented that she “want[s] to thank the community for bringing us together, and letting us get to know each other better. 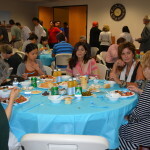 I really appreciate that, thank you very much.” Ilknur Eruyan, another woman from the Turkish community commented that “this is the first time I came to a Shabbat dinner and I’m so happy because I had a chance to learn so many things about Judaism and what they have in common with Islam, I am happy to hear that.” A successful dialogue brought some joyful comments from University Synagogue as well. Expressing the importance of this dialogue, Marc Richmond stated “I really think that weed to have more of these kinds of events. We were so honored when your community came to the synagogue and this has just been a wonderful evening reveling that two different cultures are not so different and can come together”. Complementing the event, Harriett Goren, from University Synagogue said “It was a lovely evening, it was wonderful learning about Turkish Muslims, so thank you”. Gloria Goldenberg, also from University Synagogue expressed her excitement when she stated “wow, it was fabulous! I hope you’ll come to us soon, and we can do it again! We sat with your President Ibrahim and he was wonderful, he helped us understand, the foods. It was delicious and wonderful”. Debbie Stern, from University Synagogue said “I think it was a lovely gathering, the food was fantastic, I’ just amazed at how we can combine your family with ours, it was lovely”.